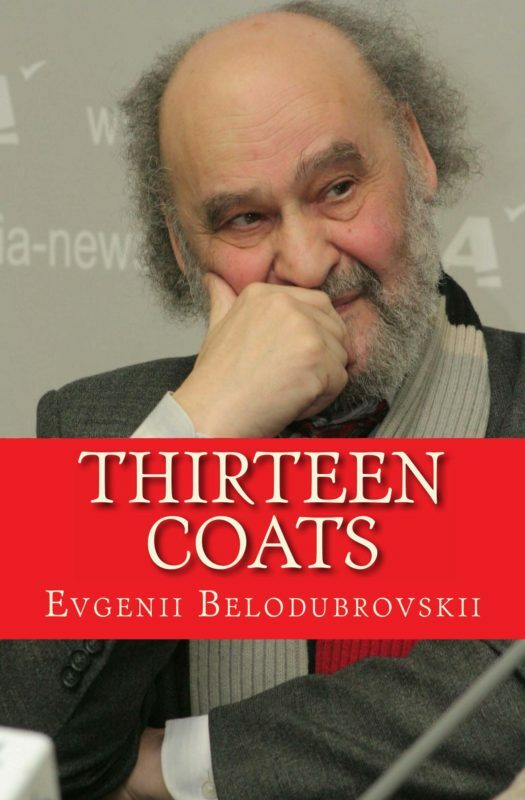 Evgenii Belodubrovskii’s Thirteen Coats is a recollection and meditation on Leningrad–St. Petersburg from his birth in 1941 on the eve of the German invasion to the present. Russia’s twentieth century traumas––two world wars and the long civil war that endured from the October Revolution in 1918 until Stalin’s death in1953 (we can include the collectivization of agriculture, the Great Terror and Gulag as part of this long civil war). Numbers empty tragedy of meaning. Stalin noted that one death is a tragedy, but ten thousand a statistic. If there is a big picture, perhaps it is contained within the pages of The Black Book of Communism that enumerates the tens of millions murdered in the name of that twentieth century religion of Communism. If there is any sense to be made of the madness, it will be in the single individual story. Longevity tables suggest an American will on average live ninety-three years. Self-medicating trauma with alcohol, drugs and tobacco, my Russian male cohort has now long dead, his statistical lifespan fifty-three years. Memorial is a Russian movement to tell the story of Russia’s twentieth century tragedy one death and one story at a time. Here, perhaps, there is some hope for Russia’s recovery rather than in longing for its ‘Black Book’ greatness. I have long studied the country and its culture, though until 1989, I only observed Russia and Russians as if through fogged binoculars. Although my academic background taught me the statistics of mass murder, I now hear the stories. Evgenii is a friend whose wise counsel about the Russian soul illuminates my stories. However, I would be his friend whether his counsel were wise or not. Here is an anecdote. It is late summer 2010. He, his wife and two daughters are visiting the third daughter, a graduate student at the UW Madison. We meet for ice cream at a custard stand. His wife and daughters listen to Zhenya and me yak. He cascades Petersburg-accented Russian upon me like Dostoevskij’s Marmeladov. When he pronounced, as fathers are wont to do, his daughters rolled their eyes. “Faaather!” The gesture––that awful daughter eye movement that deflates the self-important father––rendered Evgenii an ally. I have three daughters of my own. Though our daughters unite us, Evgenii and I are in a sense of utterly different worlds. If one can apply the term Post Traumatic Stress Disorder to a nation, certainly Russia has earned it. Evgenii Belodubrovskii and his generation struggle to translate trauma into narrative, to convert nightmare into story. Here is one attempt.